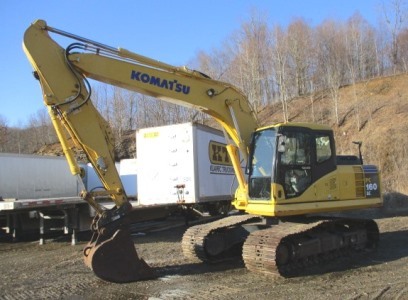 2007 Komatsu PC160LC-7 excavator with 5,832 hours, long stick, JRB hydraulic quick-coupler, auxiliary hydraulics & plumbing with dual-flow valve, heat & A/C, radio, deluxe cloth suspension seat, 2-speed & intermittent wiper & washer, auto idle, 2-speed travel, 3-digging & power modes, 36" digging bucket, 28" pads with 65% good undercarriage, travel alarm, rear view mirrors, operators manual. It is clean & tight. No leaks. 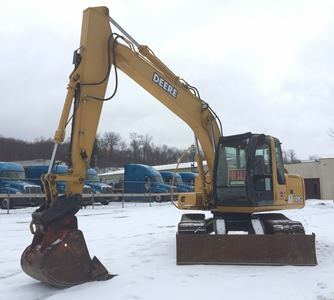 2007 John Deere 120-C excavator with 4,100 hours, long stick, hydraulic blade, heat & A/C, defroster, cloth susp. 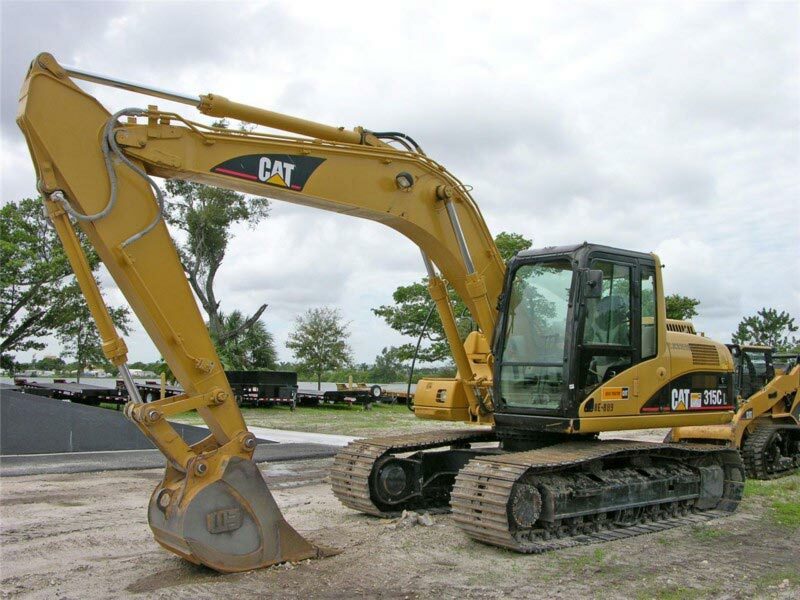 seat, 2-speed & intermittent wiper & washer, radio, auto idle, 3-speed travel, 3-power & digging modes, pattern changer, hydraulic quick-coupler, 36" digging bucket, 24" pads with rubber inserts to be legal hauling width of 8'6" & 70% good undercarriage, rear view mirrors, operators manual. It is clean & tight.